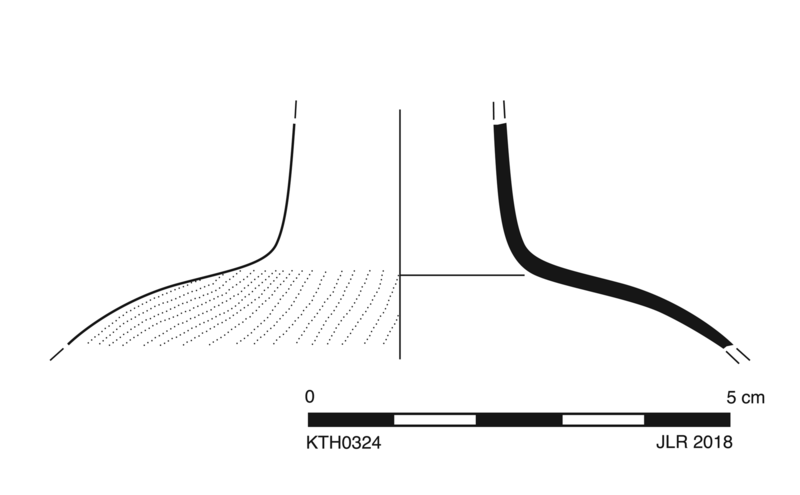 Cylindrical neck and wide flaring shoulder of globular flask. Very shallow spiral ribbing on body terminates at shoulder. 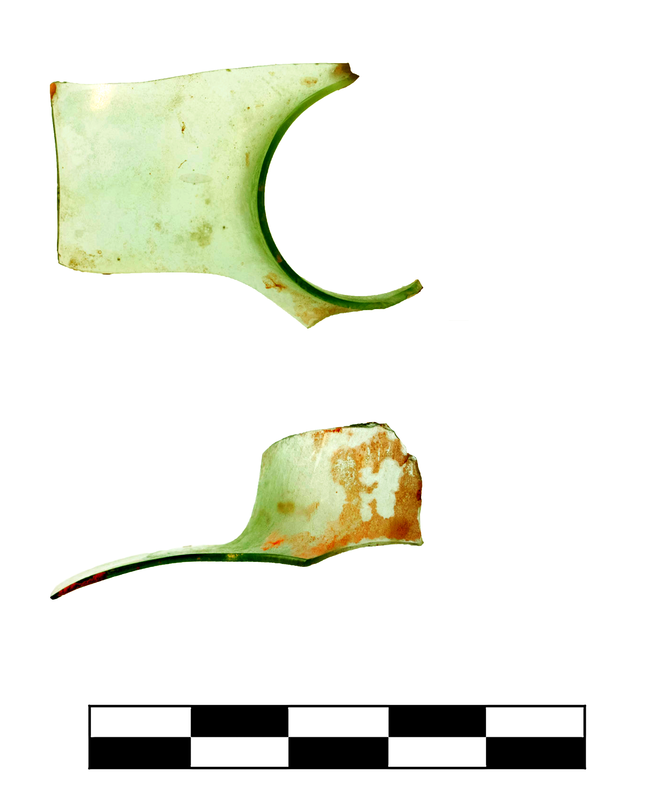 Light bluish green (PMS 331C), translucent. Frequent pinprick to small, spherical bubbles. One fragment preserves less than one quarter of neck and shoulder. Slight, sparse dulling and patches of slight iridescence and milky enamel flaking.